(1) mold comes to the property owner’s attention along with the discovery of ongoing moisture buildup, water leakage or water intrusion that has gone on for some time below the property owner’s radar; or (2) after a sudden, accidental flood or leak from a plumbing system or appliance, there is a delay in or failure to adequately dry out water damaged building products, fixtures, furnishings, finishes or belongings. The certified technicians at Five Boro Mold Specialist have been trained to detect any water damage and/or intrusion affiliated with the property. Homeowner, commercial property owner and renter property policies differ in kind and in scope from insurer to insurer. Whether mold contamination is covered under your policy will depend on the specific policy language and the cause or causes of the mold contamination. Read your policy carefully. Some property policies are “specified peril” policies, which may cover mold contamination if you can prove that it is caused by one the listed “perils” or causes. Some property policies are “all risk” policies, which may cover mold contamination, unless the insurer can prove that the cause(s) or the mold contamination itself is excluded in the policy. Five Boro Mold Specialist provides the most comprehensive investigation of the property to verify the exact cause of water damage to further assist in your claim. Most property policies have a long laundry list of exclusions for damage caused by mold, dry or wet rot, corrosion, pollution, wear and tear, deterioration, faulty workmanship and materials, construction defect, and the like. To make matters more complicated, some policies have limited “exceptions” to the exclusions– kind of like a double negative–that may provide some very limited coverage for mold contamination. In several states, like California and Texas–in response to insurers threatening to boycott coverage for water damage, as well as mold contamination coverage–insurance regulators are developing rules to permit insurers to provide minimum mold contamination coverage, e.g., $5,000 property limits, unless the policyholder buys more expensive coverage separately. Check your policy after it has been renewed to see if mold coverage limitations have been inserted. When, however, mold contamination develops as a secondary or “ensuing” problem from water damage that is covered, your insurance company may cover the additional cost to remediate the mold contamination. With the inspection that Five Boro Mold Specialist offers we will be able to determine if the damage is covered under the client’s insurance policy. All findings are detailed in the customary report provided, specifically formatted for insurance submission. More often than not, the real fight with your insurance company is over identifying the most important cause or causes of the mold contamination–are they covered or excluded? The jury is still out in most states as to whether mold is a “pollutant” within the meaning of most pollution exclusions. As a general rule, most insurers attempt to exclude coverage for mold contamination associated with long-term leakage, moisture or water intrusion from a construction defect, wear and tear, deferred maintenance or poor repairs. Most insurers will acknowledge coverage for mold contamination associated with accidental discharge of a closed plumbing system–as long as you take reasonable steps to protect and repair the property after you discover the damage. Accordingly, never speculate or guess about the cause(s) of the mold contamination or suggest to or agree with your insurance company that the mold must have been around for a long time or that there must be some hidden leak somewhere. Wait until all the investigation is completed before you acknowledge or agree as to the cause(s) of the loss with your insurance company. Five Boro Mold Specialist will provide you with all the proper information to determine the source and/or cause of the water damage. In most liability policies, your insurer agrees to defend you if you’re sued, and to reimburse (“indemnify”) you if get hit with a judgment. Somewhere in between, there is a duty to settle claims against you. The duty to defend you is much broader than the duty to indemnify you: typically the insurer must defend you if the person suing you alleges facts that merely potentially seek damages within the coverage of your policy. You only have to show that the claim might be covered; the insurer has to show conclusively that the claim cannot under any circumstances be covered. Accordingly, immediately tender the defense of any lawsuit against you to your insurer by sending a copy of the complaint and summons and asking for a defense. Don’t wait. Tender early and often. You may not be able to recover attorneys’ fees you have to pay before you tender your defense to your insurer. If your insurance company refuses to defend you, consult a policyholder attorney to analyze your policy and the claims against you. Mold analysis and reports submitted by Five Boro Mold Specialist are widely acknowledged and accepted by insurance companies for reimbursement for water and/or mold related damages based on individual coverage. Mold can cause serious illness and property damage. Insurance claim representatives, adjusters and industry consultants are fond of dismissively telling policyholders that mold has been around as long as people have been living in houses. 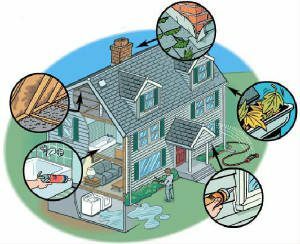 But with the introduction of mass-produced building products, tract home construction techniques, residential and commercial buildings have become more susceptible to developing mold contamination in any moist breeding ground. Mold contamination can destroy building products, finishes, furnishings, and belongings, and cause mild to serious health consequences to those exposed. 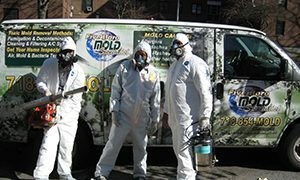 If you suspect you may have a mold problem, contact a certified New York City mold inspection company as soon as possible to ascertain the severity of the mold growth while avoiding further damage. 2. CALL YOUR INSURANCE AGENT AND REPORT A SUSPECTED CLAIM IMMEDIATELY. PUT EVERYTHING IN WRITING. Call your insurance agent immediately upon receipt of your inspection report from Five Boro Mold Specialist to report the suspected claim and submit the full Mold Inspection Report. Follow the phone call with a fax, an email and a letter. In a catastrophic flood or pipe burst claim, getting a remediation team in within the first 48 hours to begin drying out property can be crucial to preventing or containing mold growth. Five Boro Mold Specialist has all of the proper tools to extract and dehydrate any moisture caused by recent water damage and remediate mold growth in all scopes of work. If you get the run-around from your agent, insurance company, independent adjuster, or restoration company, follow up with a fax, an email and a letter confirming their delay in responding. Be firm, but always be courteous. 3. REVIEW YOUR POLICY CAREFULLY. UNDERSTAND YOUR COVERAGES. If you don’t have a complete copy of your policy, get one from your insurance agent. Review the “declarations page,” which tells you the coverages you have, the policy limits for each coverage, and the effective dates of the policy. Review the fine print of the policy from what’s insured, what’s excluded, and what you have to do to prove your claim. Review any “endorsements” added on to the policy form to see if they change, eliminate or add coverages to your policy. 4. PROTECT ALL PROPERTY FROM ANY FURTHER DAMAGE, BUT DO NOT MAKE PERMANENT REPAIRS, AND DO NOT DISPOSE OF ANY DAMAGED PROPERTY UNTIL AFTER IT HAS BEEN INSPECTED. During an inspection, the technicians at Five Boro Mold Specialist document all damages with the use of infrared imaging as well as visual digital imaging, which are provided in your Mold Inspection Report. Turn off any water flow to broken appliances or pipes. Take any necessary emergency measures to protect the building and personal property from any further damage. Do not throw anything away until you have documented its condition. In mold claims you typically need to have the mold sampled by a Mold Inspection Compay and analyzed by a microbial laboratory. 5. PHOTOGRAPH, VIDEOTAPE AND INVENTORY ALL DAMAGED PROPERTY. DOCUMENT YOUR LOSS AS THOROUGHLY AS YOU CAN, AND DON’T EXAGGERATE, GUESS OR SPECULATE ABOUT THE LOSS OR THE VALUE OF ANY PARTICULAR PIECE OF PROPERTY. Photograph, videotape and inventory all damaged property. Make sure you record the date of the photos and videotape. It is important to document the source and extent of water intrusion, and visible mold contamination. In a dispute with your insurer over whether any particular building component, finish, furnishing or belonging is contaminated, the item may need to be tested by a remediation consultant–the insurer’s and perhaps your own. Don’t throw these items away until any such issues are resolved in writing. As part of our detailed inspection, Five Boro Mold Specialist will photograph and document each and every damaged area throughout the property to insure you the appropriate coverage available for your claim. In most states a material misrepresentation, concealment or omission–even an unintentional one–made in connection with the claim–for example, claiming that an item was destroyed that really wasn’t, or substantially overstating the value of a damaged item–may give your insurer a valid excuse to reject the claim and even rescind the policy. It is not an uncommon tactic for adjusters and claim representatives who are predisposed to reject or lowball a claim, to ferret out even minor discrepancies between your first recorded statement and subsequent recorded statements, and argue that these discrepancies constitute material misrepresentations sufficient to reject your claim. Don’t give them the opportunity. Don’t exaggerate, speculate or guess about the loss or value of any particular piece of property. Make it clear to your insurer when your recollection may not be accurate, and when you are estimating value, and on what you are basing your estimate. Five Boro Mold Specialist will provide a detailed analysis of both the treatment process necessary for repairs as well as the corresponding costs associated with the mold abatement. 6. UNDERSTAND YOUR RIGHTS. LEARN YOUR STATE’S LAWS THAT REGULATE HOW INSURANCE CLAIMS ARE SUPPOSED TO BE HANDLED. Every state has statutes and regulations that set minimum standards for handling insurance claims. You usually can find these laws through your state department of insurance or insurance regulator website. You can also call your state’s department of insurance or insurance regulator for information. 7. YOU MUST COOPERATE WITHIN REASON WITH YOUR INSURANCE COMPANY’S INVESTIGATION AND HANDLING OF YOUR CLAIM, BUT DO NOT GIVE A RECORDED STATEMENT, A SWORN STATEMENT OR A SWORN “PROOF OF LOSS” FORM UNTIL YOU ARE SURE YOU UNDERSTAND YOUR RIGHTS, YOUR INSURANCE COVERAGE AND THE FULL EXTENT OF YOUR CLAIM. Your insurer may require you to give one or more recorded statements. Use your own tape recorder to tape your statement and the insurer’s questions. More often than not, insurers and their attorneys delay or refuse to give you a copy of your recorded statement. Do not give a recorded statement until you are sure you understand your rights, your insurance coverages, and the full extent of your claim. Five Boro Mold Specialist will assist in recommendations for this process upon completion of a full inspection, to insure the statement corresponds with the information provided in your Mold Inspection Report. Your insurer may ask you to make available various documents related to your claim, including banking statements, investment reports, receipts and other personal financial documents. You are not required to produce your tax returns, but you are required to produce any other documentation reasonably related to your insurer’s investigation of your claim. Your insurer can require you to produce these kinds of documents as long as they are reasonably related to its investigation. Do not provide these documents to your insurer until you are sure you understand your rights, your insurance coverage and the full extent of your claim. Most policies require that you submit a “sworn proof of loss” form to your insurer within a certain amount of time after being provided the form. In most states you are contractually obligated to submit the sworn proof of loss within the time limit, or at least to substantially comply with the requirement, unless you get an agreement from your insurer for more time or an agreement to dispense with the sworn proof of loss. Do not submit the sworn proof of loss to your insurer until you are sure you understand your rights, your insurance coverages, and the full extent of your claim. It is not unusual for an aggressive insurer to use mistakes in the sworn proof of loss to reduce or reject coverage for a claim. 8. NEVER SIGN A RELEASE, WAIVER, INDEMNITY OR “HOLD HARMLESS” AGREEMENT WITHOUT PROPER LEGAL ADVICE. 9. GET A SECOND OPINION. DON’T ACCEPT A LOWBALL OFFER. Be wary of “lowball” estimates from insurance friendly contractors. Get a second and even a third written estimate to repair and replace damaged property from reputable, independent professionals that you would hire to do the actual work. You are entitled to have your damaged property replaced with “like kind and quality.” Insist on it. When you can’t match the remaining undamaged tile, wallpaper, carpeting, or other portions of undamaged property, you are entitled to have the entire “line of sight” replaced to match. Insist on it. Five Boro Mold Specialist provides a comprehensive detailed Mold Inspection Report, specifically outlining any and all damages relating to your claim as well as their severity. If you have a disagreement with your insurer over the amount of your claim, you may be required by your insurer to submit the dispute to “appraisal.” Appraisal is a form of binding arbitration to settle disagreements over the amount of your claim. It typically does not decide disagreements about what is covered, what is not covered, what caused the loss or poor claims handling problems, unless you and your insurer agree to submit those additional disputes to the appraisal. While appraisal was initially designed to be an inexpensive, informal resolution of insurance disputes, insurers have turned it into one of the most expensive, overlawyered, and dragged out sideshows in insurance claim resolution. If you cannot resolve a dispute with your insurer over the amount of your claim, or your insurer demands appraisal, you should consult with a policyholder attorney. 10. THOROUGHLY INVESTIGATE THE QUALIFICATIONS, LICENSE, AND REFERENCES OF YOUR INSURANCE COMPANY’S “APPROVED” CONTRACTOR BEFORE AGREEING TO HIRE THEM TO DO THE REPAIRS. Be sure to check that each contractor’s license is valid, and for any complaints against the license. Be sure that the contractor is bonded and insured. All our technicians at Five Boro Mold Specialist are certified, insured and bonded and always guarantee to work in your best interest. 11. GET PROFESSIONAL HELP IF YOU NEED IT. 12. MAKE SURE YOU KNOW ALL THE DEADLINES THAT MAY CUT OFF YOUR RIGHT TO FILE A LAWSUIT. 13. REPORT ALL UNFAIR CLAIM HANDLING TO YOUR DEPARTMENT OF INSURANCE OR INSURANCE REGULATOR. 1. Be pro-active in the claim process. 3. Think of your insurance claim as a business negotiation—you’re dealing with a for-profit company. 7. Don’t pad or exaggerate your claim. 8. Don’t sign legal documents without consulting with a qualified attorney. 9. Try to resolve problems informally but complain in writing, go up the chain of command and/or use government agency help when necessary. 10. Get specialized professional help when you need it; start by calling our office staff at 718-677-6653 to become more informed of the process. The staff and technicians at Five Boro Mold Specialist are here to assist our clients with a precise and thorough inspection. Because our inspection reports are so thorough they are recognized and accepted by insurance companies and court systems. Our technicians use state of the art infrared cameras throughout the property to find any and all sources of moisture intrusion. Every step of our inspections, including all damages caused, are documented and provided for our clients in a detailed color report. All of our technicians are highly professional and prepared to deal with any mold and/or water related situation. Our company is certified, insured and bonded. If you have any questions about our services you can visit our website at www.fiveboromoldspecialist.com or contact our office at (718) 677-6653.